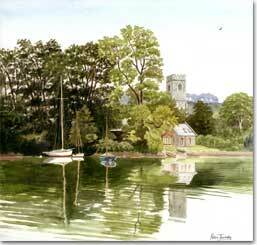 has lived and worked for most of his life in Cornwall painting landscapes, seascapes, coasts, creeks and many botanical subjects. His mushroom art was commisioned by the British Mycological Society. His watercolour paintings of wild mushrooms illustrated the BMS fold-out Pocket Guide and Poster of Common Fungi. 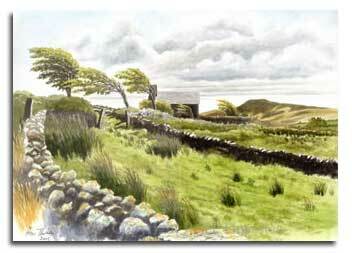 This website shows landscape, seascape and botanical prints, cards, and interior decor items. Where original paintings are for sale this is mentioned on the individual prints purchase page. The originals of these 2 paintings are available to purchase. Please enquire if you would like further details.